They have been married for a blissful six years. 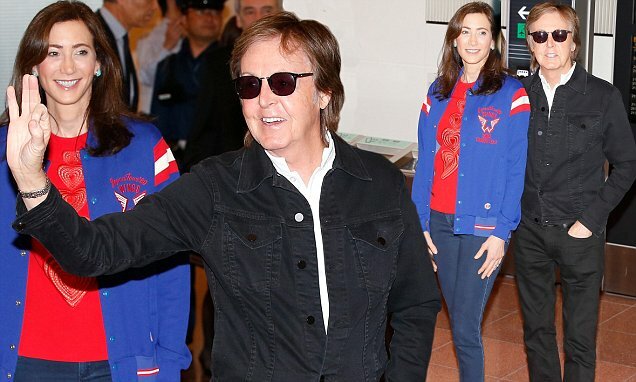 And Paul McCartney proved he is as loved-up as ever with his stunning wife Nancy Shevell as they arrived at Tokyo’s Haneda Airport on Sunday where he was greeted by a throng of admirers and fans. 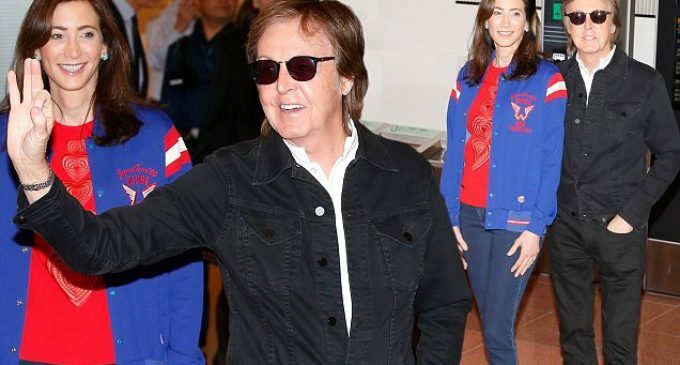 The 74-year-old Beatles star proved he is defying the age odds with his youthful look while Nancy, 57, looked chic in a varsity-inspired ensemble shortly before he reached into the crowd before being grabbed by an overzealous fan.Paul found stratospheric fame in the Fifties, as one quarter of The Beatles, alongside John Lennon, George Harrison, and Ringo Starr, as they grew to be one of the most famous groups in the world.The Liverpool-formed group’s legacy lives on seven decades later and Paul’s greeting when he arrived in Japan proved The Beatles hysteria is not going anywhere.